'Tis the season, right? I have to admit that I'm not exactly the biggest fan of horror - I'm easily grossed out by gore and an easy target for jump scares. But give me the right kind of creepy and I'll be left thinking about a book long after I've finished it. With Halloween coming up fast, I've picked out 5 creepy-as-heck novels that might not scare you, persay, but leave an impression of lingering unease days or even weeks later. The Haunting of Hill House is a slim tome that packs a major punch. Four characters gather in the eponymous Hill House at the behest of one of them, Dr. Montague, who is researching supernatural phenomena in the old house. Anyone who's ever watched a horror movie understands that this is a terrible idea. The supernatural phenomena experienced by the characters during their time at Hill House are difficult to explain, though the reader is left with a number of possibilities. Hailed by such diverse sources as The Wall Street Journal and Stephen King, Jackson's Hill House is a classic of psychological terror that's defined haunted house stories for generations. Now for an about-face: Max Brooks' World War Z features one of the least subtle terrors in the genre: a world-wide zombie horde. What really sets World War Z apart is the way it's framed: as the tagline on the cover indicates, it's crafted as an "oral history" of the events surrounding the zombie war, gathered by a journalist who makes rare appearances in the story. What makes World War Z frightening is this very framework. The journalistic style and the way each narrator's speaking style is crafted manages to achieve nearly-complete suspension of disbelief, leaving the reader with the unsettling feeling of reading a historical document from the future. Another is almost a marriage of what makes The Haunting of Hill House and World War Z frightening. In this paranormal horror story, a teenage boy transfers to a new school, where all of the students ignore a single girl in the class. Convinced they're bullying her, he tries to befriend her, only to discover the students had been trying to stave off a deadly curse - and by acknowledging her existence, he undid it all. While Japanese horror tends toward the psychological, Another forces readers to face one of the terrifying concepts of zombie fiction: that death can come for anyone at any time, indiscriminately. I'd say Another is more similar to Hill House in terms of its reliance on psychological horror and supernatural phenomena, but one thing I appreciate about the novel is that there's simply no explanation for why it happens. Unlike Hill House, which offers a few possible "solutions" to the events of the story, the supernatural events of Another have no explanation. They just happen. Which might be the scariest thing of all. An encyclopedia of diseases always has the potential to leave a lingering impression of unease, depending on a person's nature, but Vikram Paralkar's The Afflictions isn't just any encyclopedia of diseases. It's an encyclopedia of fictional diseases - illnesses of the spirit rather than illnesses of the body. Conveyed through short encyclopedic entries, The Afflictions explores maladies that are all existential or philosophical rather than physical. As with World War Z, the book's framework is what makes it even more terrifying: the diseases seem utterly real, as if at any moment the reader could contract an affliction that might make them disappear from the memories of those around them. 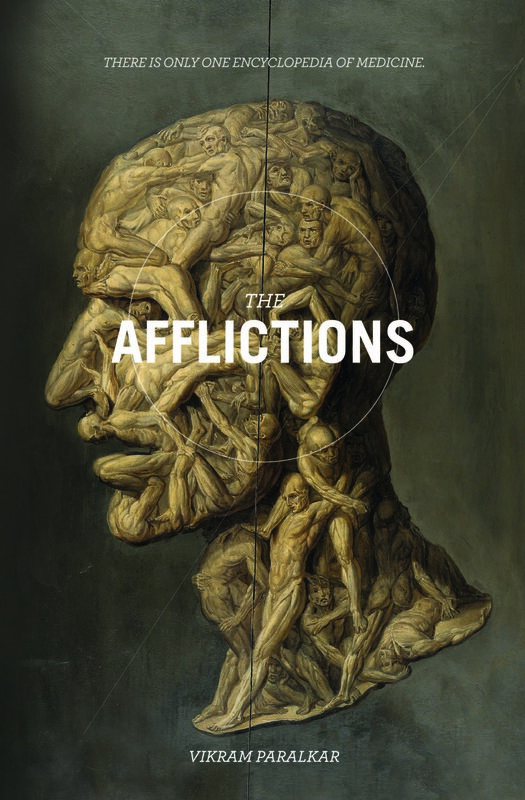 While not precisely scary, The Afflictions is the sort of book that makes you lie awake in bed at night, contemplating what you've just finished reading, which for some readers is truly the goal. Like just about every other American-raised kid, I grew up watching the Scooby-Doo cartoons in just about every iteration, reading the Nancy Drews and Hardy Boys and Boxcar Childrens that my local library provided, and did go through the "mystery novel stage" that seems so common in American elementary schools. Edgar Cantero's Meddling Kids knows this and seizes upon it, shaking readers hard and refusing to let go. While I expected a nostalgia trip featuring a rubber-masked bad guy based on the cover, the book was a deep dive into reflections of twenty-somethings on the events of their childhood with one very unsettling addition: the idea that the monsters you feared during childhood were, in fact, very real, and that they're not especially interested in leaving you alone now that you're an adult.